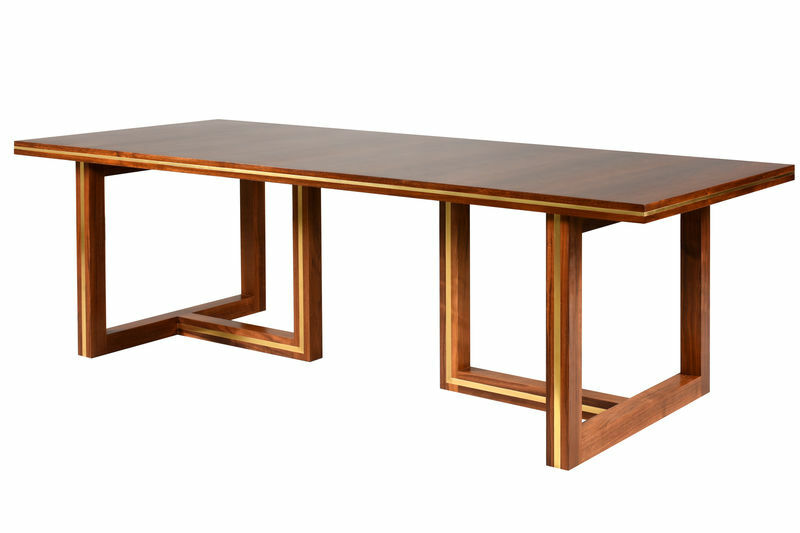 Our best selling Wimbledon dining table is now available in a new version, a sleek smart walnut finish with metal inlays to the base and around the edge of the top. 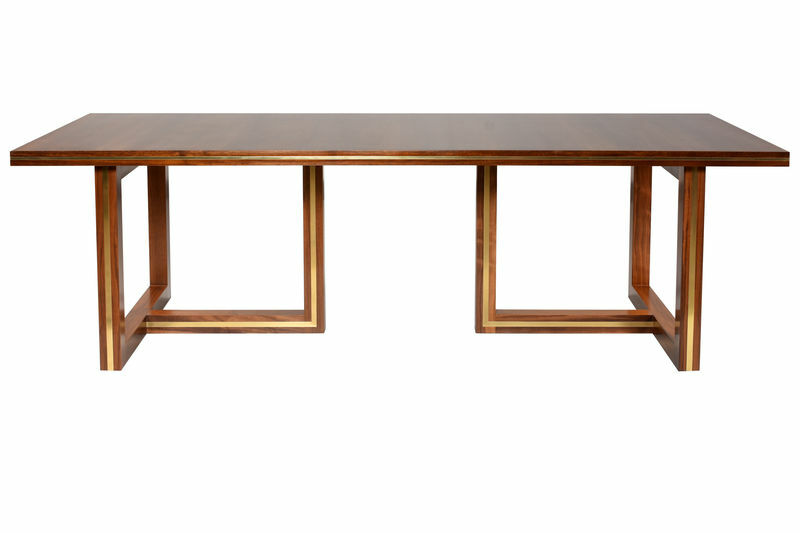 The table comes in three contemporary colours: Medium Walnut, Dark Walnut and Smoke Walnut. 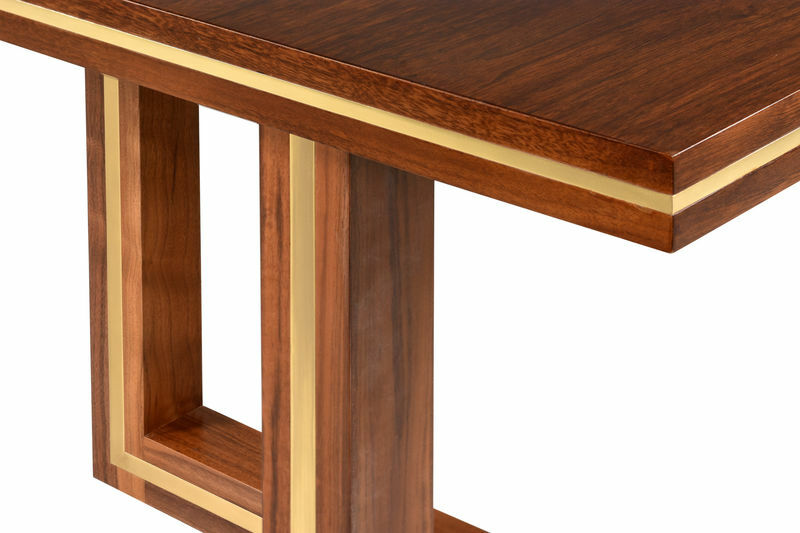 For the metal inlay choose between Polished brass, Bronze and Stainless steel. Available in 5 standard sizes as well as bespoke.